I’ve made these a few times this summer and it’s been the perfect accompaniment to have while catching some sun. 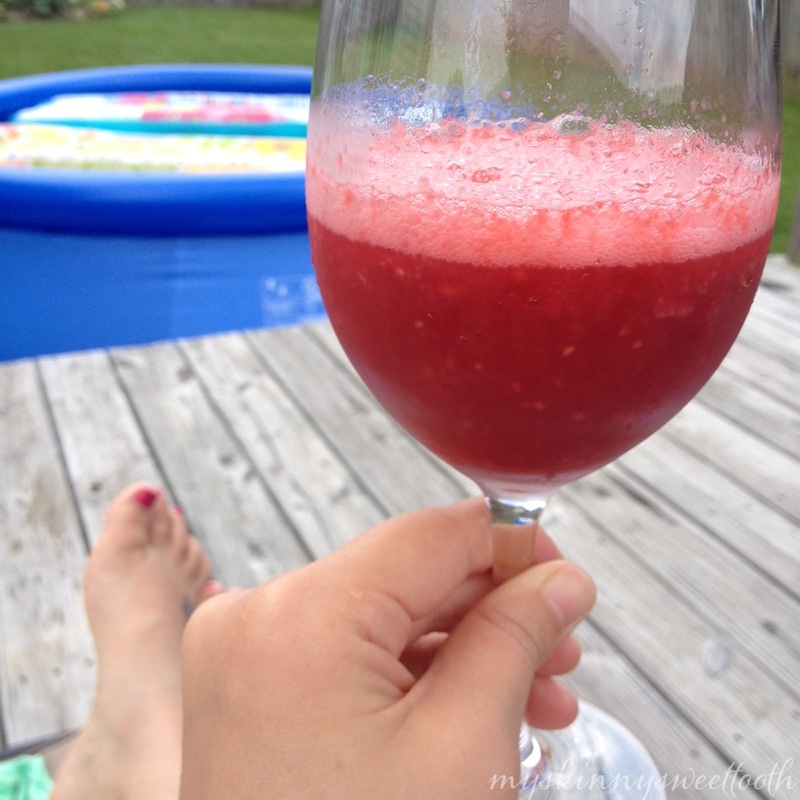 Whether I’m lounging in the pool or just hanging out while the husband fires up the grill, this boozy adult slushy is sure to keep me cool. 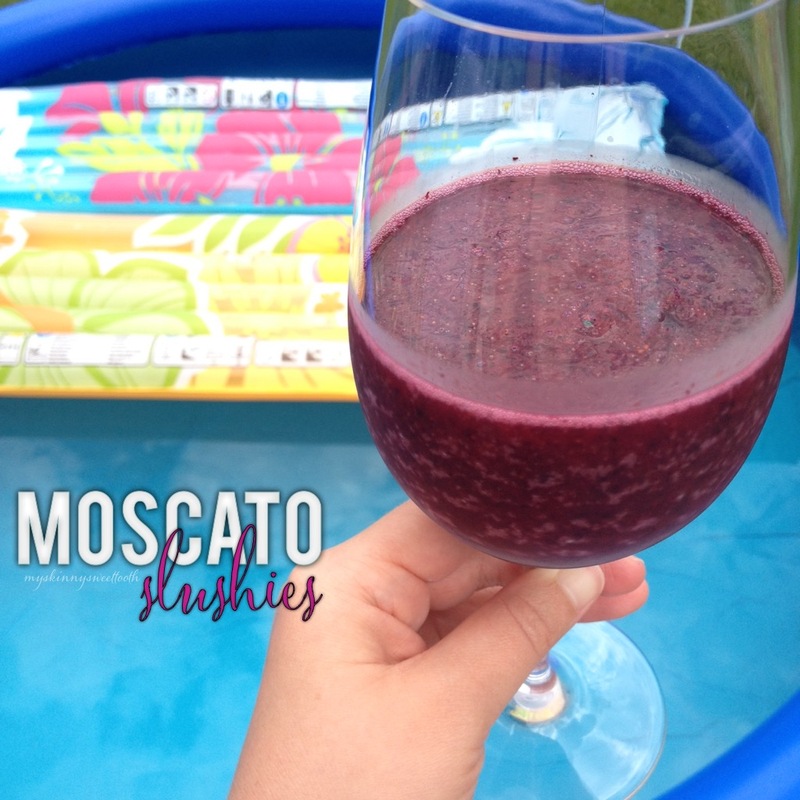 I love the moscato as it’s a sweeter wine, but doesn’t make the slushy overly sweet. Ha, make sense? My favorite brand to use is a cheap one, of course. 😉 Jacobs Creek adds just the right amount of sweetness, but any moscato would work just fine … even pink moscato would be refreshing! 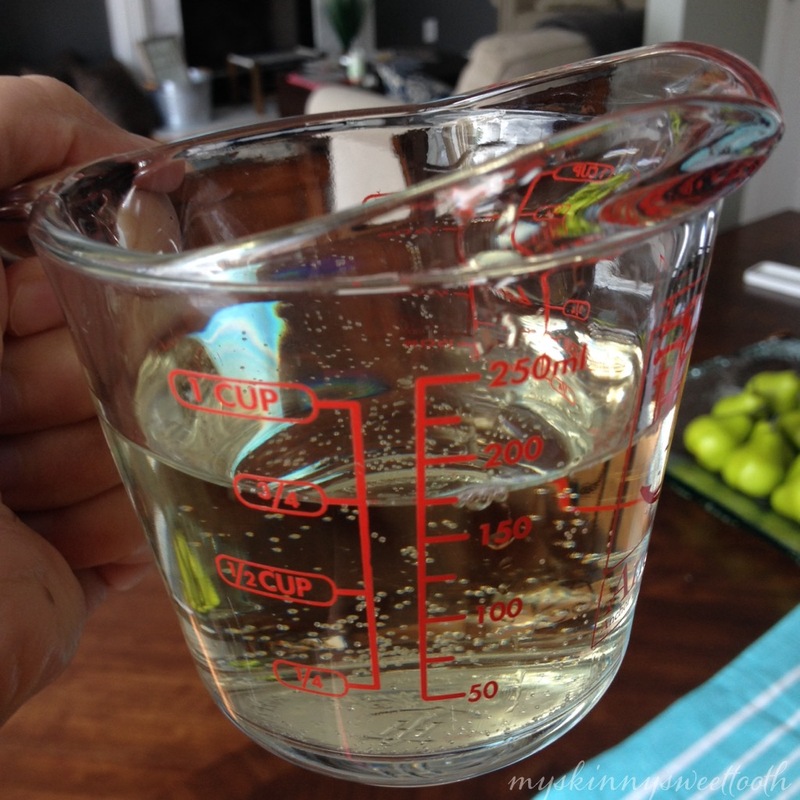 I also love using Mirassou when I don’t have Jacobs Creek on hand. 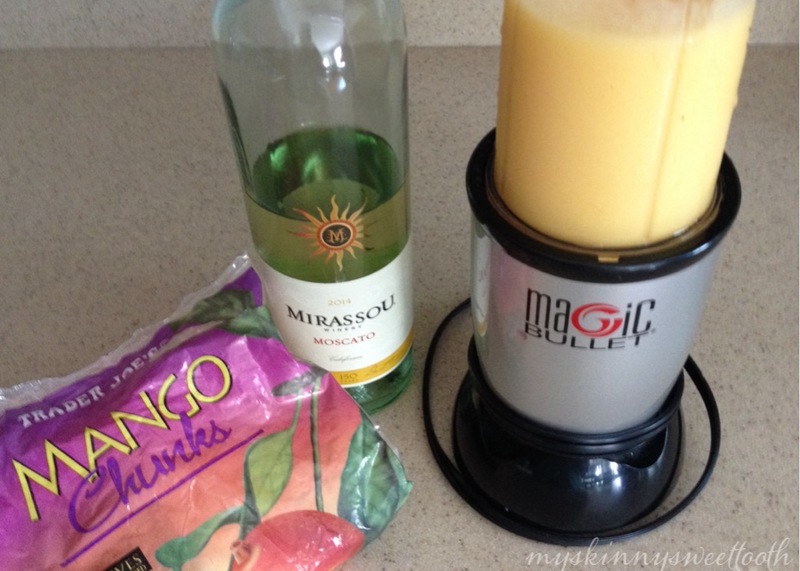 While my mom was visiting a few weekends ago, I played around with different frozen fruit and the mango was by far my favorite; so smooth and sweet. 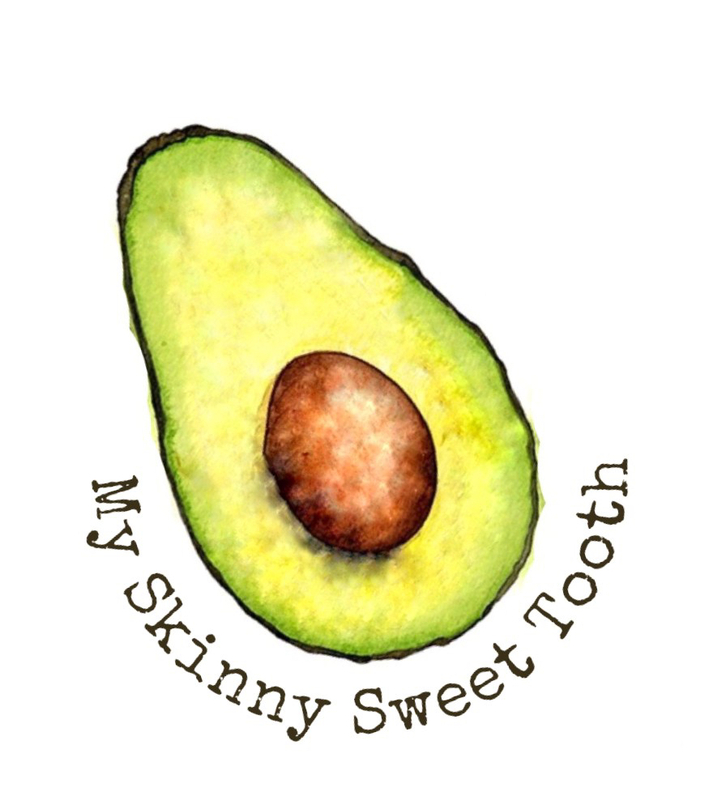 But of course, use what you like, what’s in season, and feel free to mix it up! Blueberry mango? Um, yes! Strawberry Pineapple? Um, HECK yes! 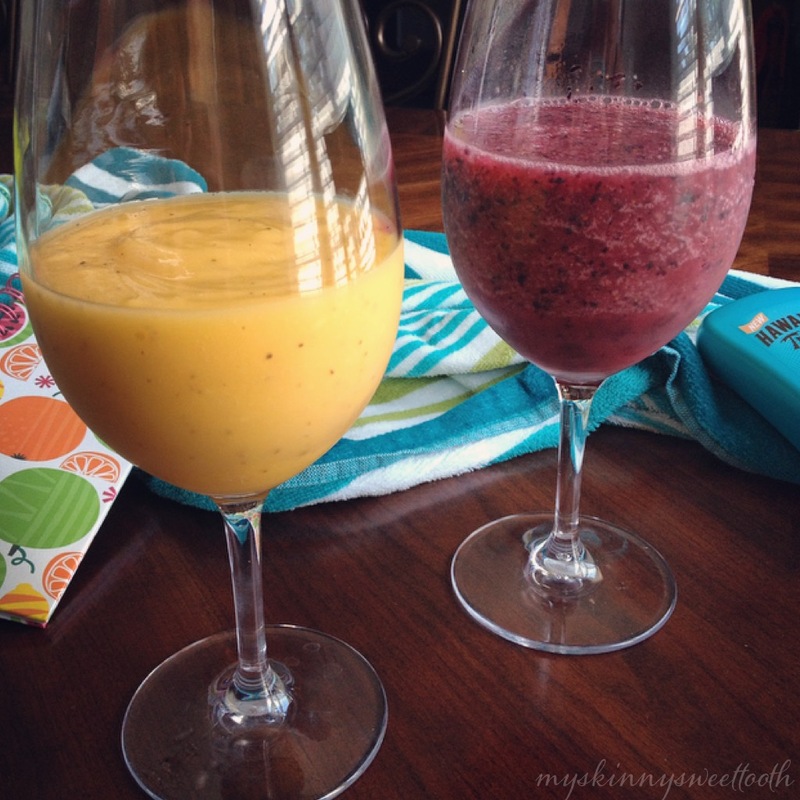 • Blend moscato and fruit together in a blender or nutribullet. • Add ice if needed.